Hooray! Autumn is on the way! Cuddle up, fill up on luxurious yummy food and drinks and enjoy! 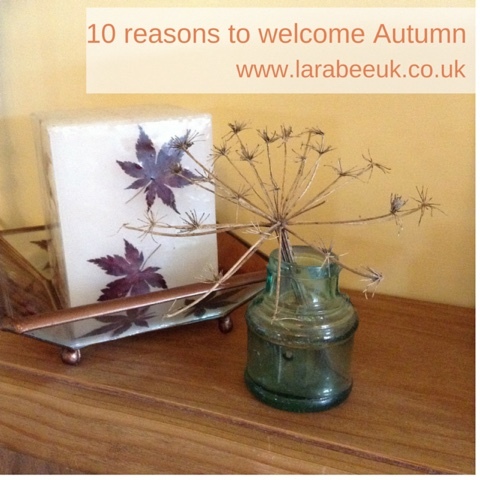 I do love Autumn, it's my time for reflection, to have a jolly good clear out before Christmas and to beging Christmas and winter preparations. Autumn, I'm ready for you! 3. Having a bad hair day? Wear a bobble hat! 7. Warm bathroom in the morning! 10. You can put your onesie on as soon as you get home! If you haven't had enough of Autumn, have a look at our Autumn bucket list. I love autumn! Getting the boots out is the best things for me!